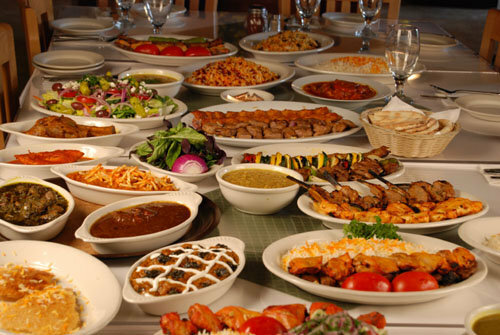 One of the oldest cultures of the world, Iranian (or Persian) culture has always been admired for its beauty, language and food. Their ingredients, dishes and cooking styles have found their way into other cultures. Dolma (or Dolmeh) is a family of stuffed vegetables that is extremely common in the Middle East. 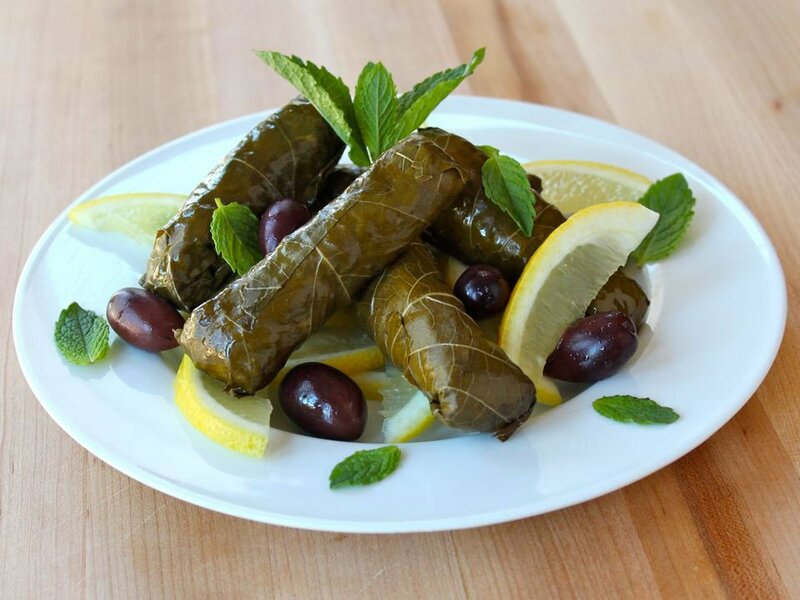 It is frequently wrapped in grape leaves and the stuffing is a creamy mixture of tahini, egg-lemon or garlic yoghurt sauce and a choice of meat. 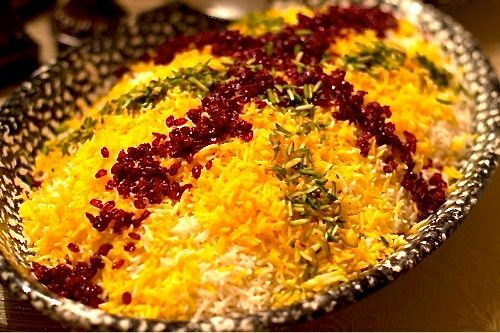 Also known as “Jewelled Rice”, this a rice dish that is a must during special occasions and celebrations. It is cooked and topped with red barberries that give it a jewelled look and a tart taste. 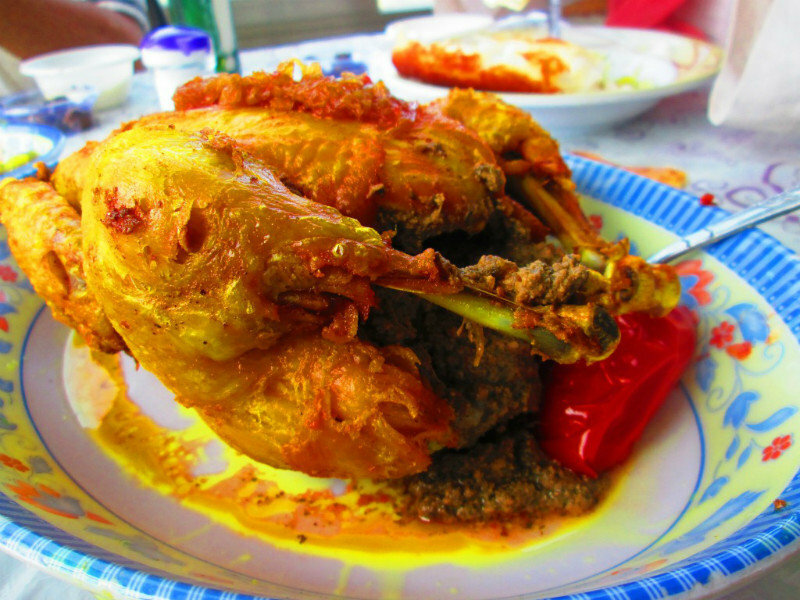 Sometimes served with chicken, Zereshk Polow is extremely delicious and wholesome dish. Slightly tilting on the sweeter side, this savoury dish has chicken being marinated in butter, onion powder, orange juice, honey, mustard, dissolved saffron, salt and pepper. This mixture is then combined with rice, pistachio, orange zest and almonds and stuffed into the chicken. 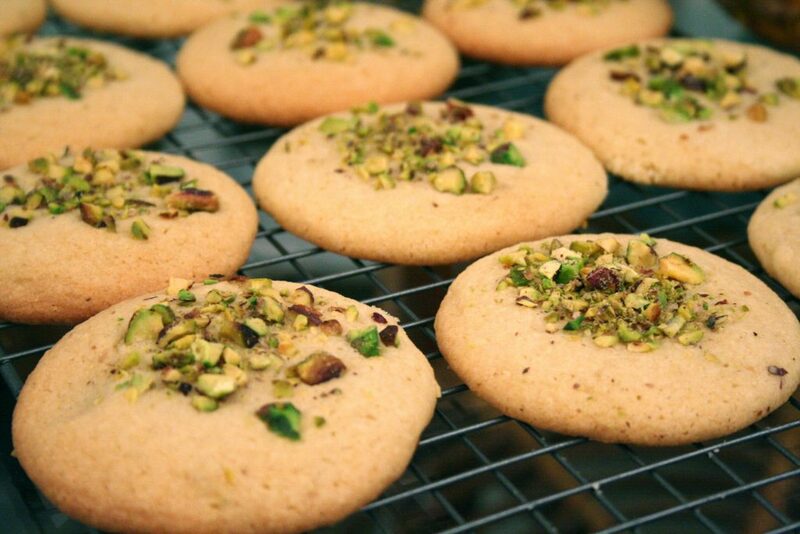 This is a shortbread biscuit with its central ingredient as ground almonds and is a great accompaniment to evening tea. 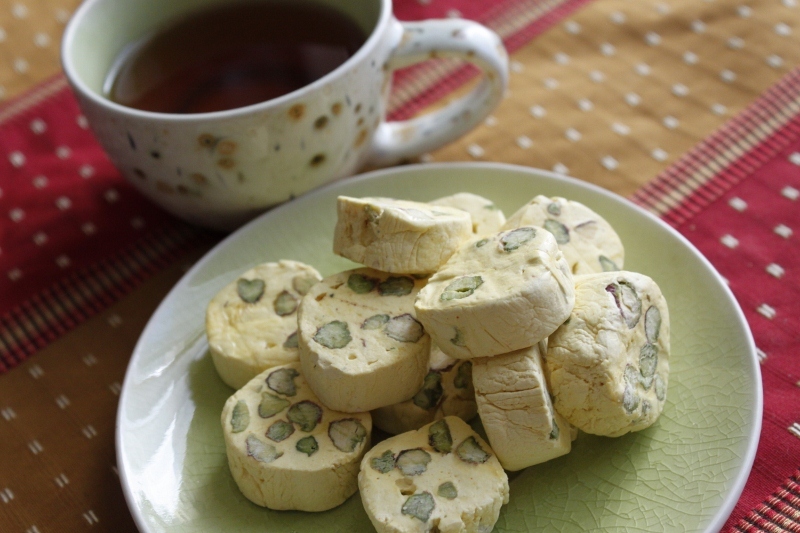 Traditionally served with tea, this is a soft candy with a chewy mixture of pistachios, rose water and a certain plant’s sap. 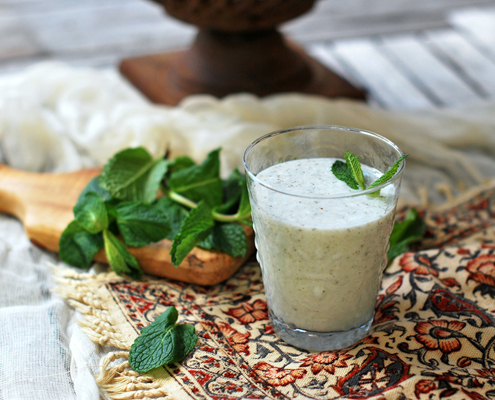 The perfect solution to a hot day is this classic Iranian drink that is combination of yoghurt, mint and club soda. 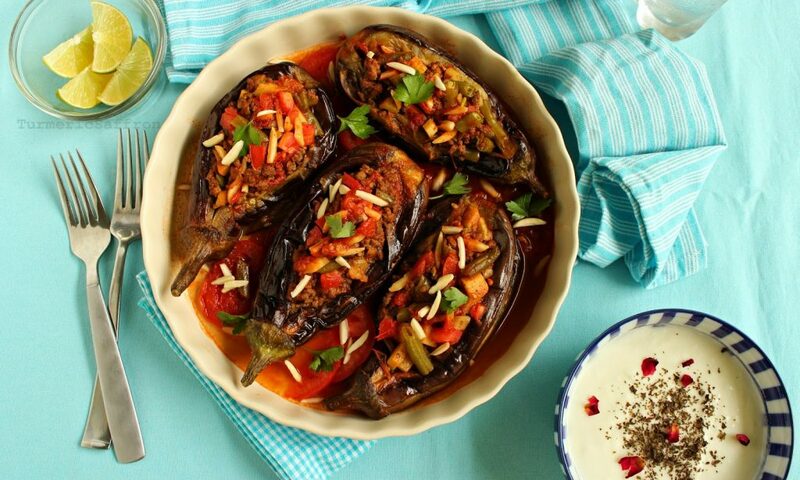 It is a classic Persian recipe that has eggplants that are first baked and then used to make a stew. The non-vegetarian version includes beef. 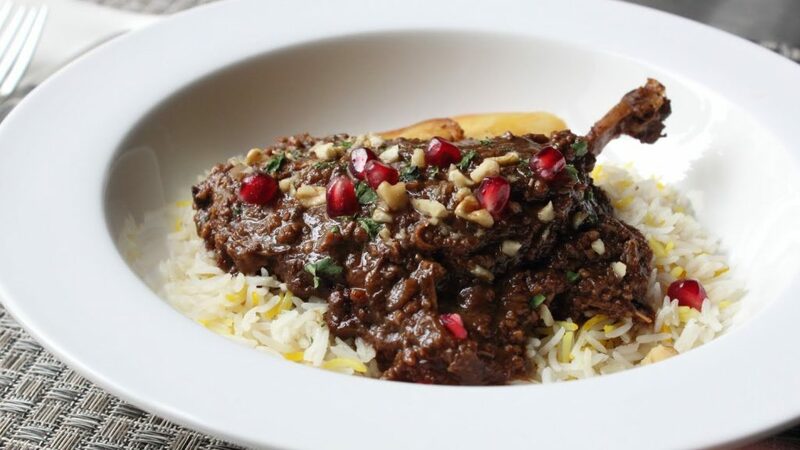 This is a chicken stew that has pomegranate syrup, walnuts and chicken in its recipe and has probably the most unique and tasty flavour. This is a Persian version of a donut that is shaped like a churro and dipped in a syrup of rose water, saffron and sugar. 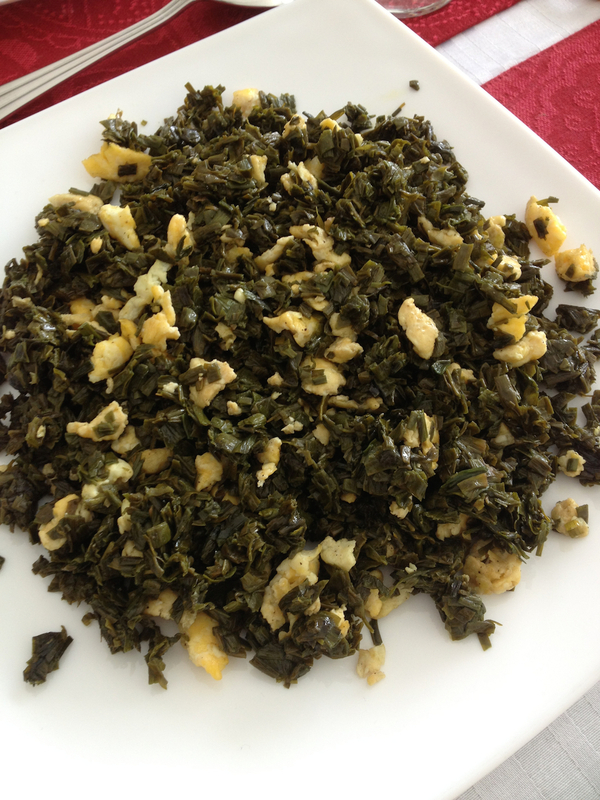 Chopped garlic leaves are put in a pan and fried with oil, egg, turmeric, salt and pepper. 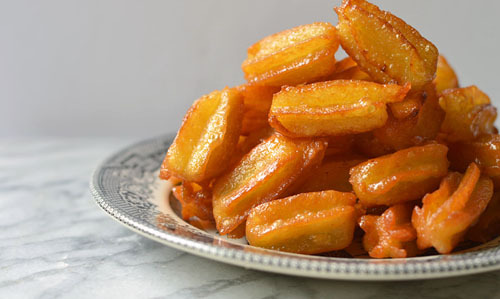 This is a healthy and tasty side dish that accompanies many other dishes. It is a hearty mutton soup that uses chickpeas for thickening the dish. 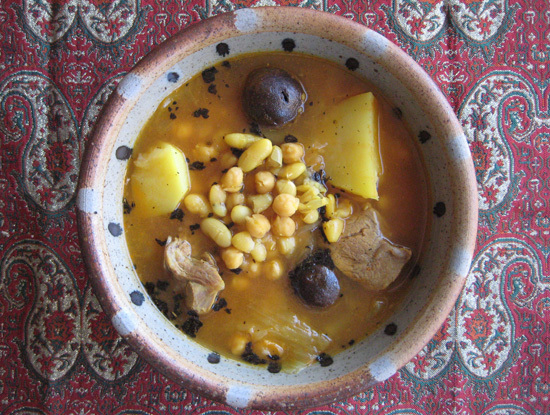 The stew consists of lamb, onion, tomatoes, chickpeas, potatoes, white beans, turmeric and dried lime. 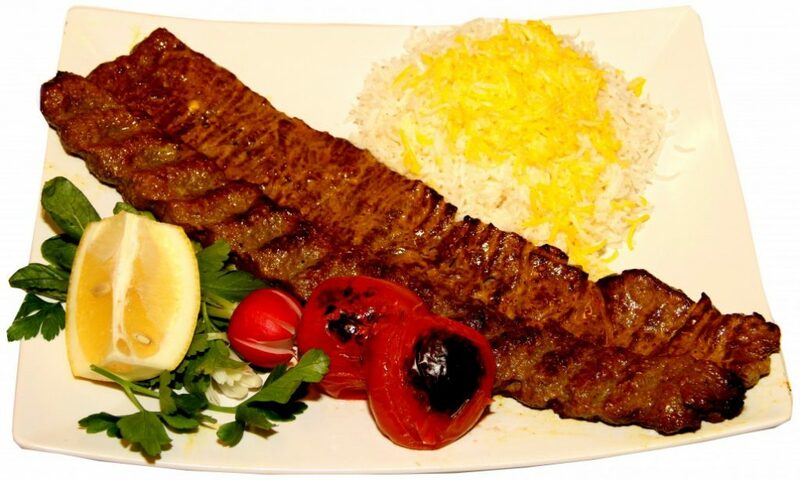 Probably the most popular Irani dish, Chelo kabab or beef kabab is served with roasted tomatoes and rice – simple and simply delicious. This is a pastry dish has a walnut and vanilla filling. 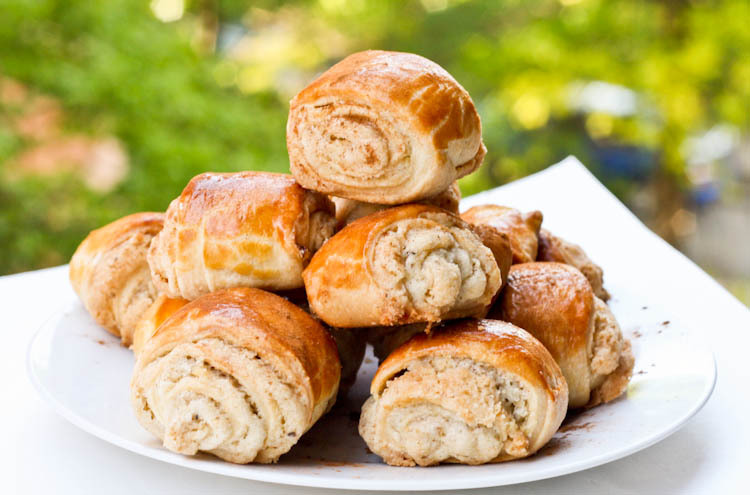 Perfect dish for satisfying a sweet tooth.